Brass Rod Grade 1, UNS C35300 Brass Rod Grade1, Grade 1 ASTM B21 Brass Rod , IS 319/320 Brass Grade 1/2 Round Bars, ASTM B21 Brass Rod Grade 1, supplier, Manufacturer, Exporter, Mumbai, India. UNS C35300 Brass Rod Grade 1, Grade 1 ASTM B21 Brass Rod , ASTM B21 Brass Rod Grade 1, Brass Rod Grade 1 Exporter. 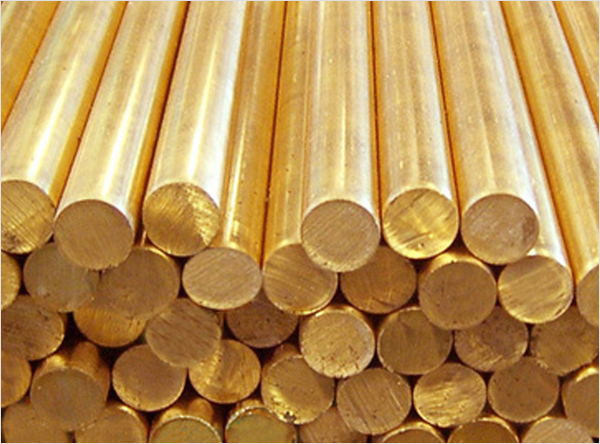 Rexton Steel & Alloys is stockiest, exporter, supplier and manufacturer of Brass Rods Grade 1. We offer these products in different sizes and thickness, which can be further customized as per the precise needs given by our esteemed clients. With some great features like Easy to apply, Corrosion resistance, Light weight, and more, these rods are manufactured using quality assured stainless steel and with the help of innovative technology in compliance with international standards. IS 319/320 Brass Free Cutting Grade 1 / 2 is the standard grade for Free Machining Brass. it is the widely used owing to its suitability for high speed machining operations and also for manufacture of complex parts. The ease of brazing/soldering, high corrosion resistance combined with its good strength and a machinability rating of 100% makes it an ideal choice of application in wide range of brass components throughout the industry. Provided products are checked on various quality parameters before the time of delivery. These rods are widely used in various mechanical and automobile industries as important parts to be installed in machines. Rexton Steel & Alloys is involved in giving an extensive range of these Rods at reasonable rates to our patrons. Yield Stress 150 MPa Min. Tensile Strength 380 MPa Min.